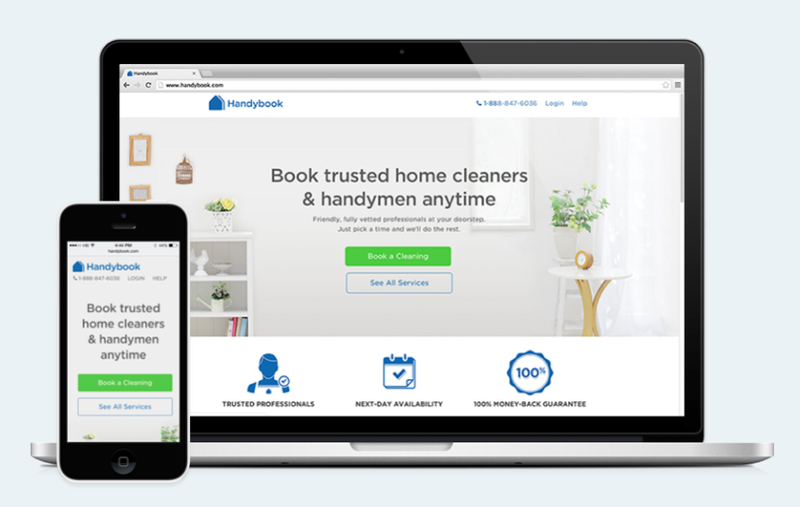 Handybook, a platform for booking cleaners or handymen to carry out tasks in your house, is now available in London – the company’s first market outside the US and Canada and its 27th city overall. Announced today, the platform allows users to book cleaners, plumbers, electricians, painters, movers and more in London. Rather than act as a simple marketplace for these sorts of jobs, Handybook screens its providers to provide peace of mind for users. That screening process involves background checks, reference checks, phone and in-person interviews, Handybook’s CEO and co-founder Oisin Hanrahan told TNW. Looking to make a splash in an already competitive space, there’s a simple booking process, mobile-friendly website and a native iOS app to make things as easy as possible for busy users on-the-move. Prices for cleaners start at £10 per hour, with the minimum being two hours. The cost of other services varies according to the job at hand, but you can get a price by entering you email address and requirements on the Handybook site or app. With Homejoy and Hassle focusing squarely on providing cleaners right now, Handybook is entering crowded waters but has a wider remit and so could, in theory at least, appeal to more users.